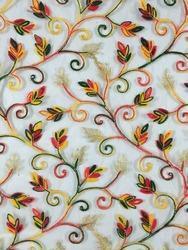 Our product range includes a wide range of all over zari mirror embroidery garments fabrics, net embroidery fabric, embroidery nv - embroidered fabrics, garment embroidery fabrics, embroidered georgette fabrics and net embroidery fabric multi. 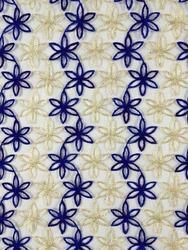 We have gained specialization by providing our clients an exclusive range of Stylish mirror work on crochet fabrics. The offered fabric is designed and manufactured under the supervision of our experienced designers by making use of the finest grade yarns and fibers as per the international quality standards. 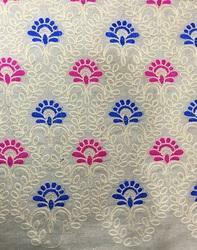 Widely demanded in the garment industry, clients can avail this fabric from us in various designs, patterns and colors at the most affordable rates. 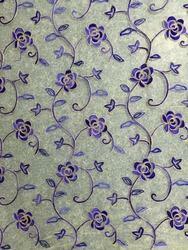 We have gained specialization by providing our clients an exclusive range of Stylish Embroidery work on Velvet fabrics. The offered fabric is designed and manufactured under the supervision of our experienced designers by making use of the finest grade yarns and fibers as per the international quality standards. Widely demanded in the garment industry, clients can avail this fabric from us in various designs, patterns and colors at the most affordable rates. 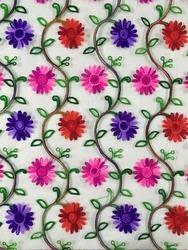 We have gained specialization by providing our clients an exclusive range of Designer Embroidery Fabric. The offered fabric is designed and manufactured under the supervision of our experienced designers by making use of the finest grade yarns and fibers as per the international quality standards. Widely demanded in the garment industry, clients can avail this fabric from us in various designs, patterns and colors at the most affordable rates. 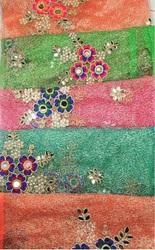 We have in store for our customers a flawlessly crafted range of Embroidered Georgette Fabrics that is wide in demand with our clients based across the globe. 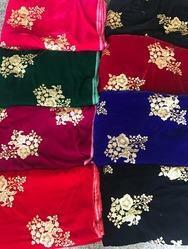 Offered in vivacious colors, attractive designs and sophisticated embroidery patterns, these embroidered Georgette fabrics are widely demanded by our clients.